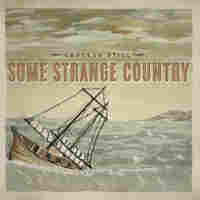 Best Folk Albums Of 2010 There isn't a more knowledgeable source for contemporary folk music on the web than Folk Alley. Host Elena See clues us in to the best music she heard all year. Boston bluegrass band Crooked Still released one of the best albums of the year. What a year for music! In 2010, it seemed like whatever you wanted, whatever you were in the mood for at any given moment, you could find. Literature turned into music? Natalie Merchant. Thoughtful lyrics with beautifully produced sound? Ellis Paul. Gospel with a twist? Patty Griffin. These records prove 2010 had it all. 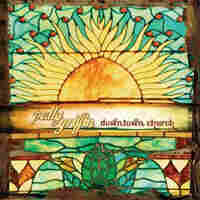 This is Griffin's 7th album and a response to her belief that gospel is the foundation of most every kind of music. She said she was working through some complicated feelings about religion and her own sense of faith when she was recording the album (which she co-produced with Buddy Miller). The result is gospel that's lovely and gritty and inspiring and a little uncomfortable all at the same time. Two Patty Griffin originals rub alongside traditional gospel standards like "Wade in the Water" and "Waiting for My Child." The fourth recording from the quintet Crooked Still, Some Strange Country, was recorded in a studio in Virginia, and the recording session didn't go quite as planned. The group was almost done when they were trapped for a few extra days by a sudden snowstorm. The forced isolation encouraged what is ultimately a collaborative project at its best -- each of the five contributed equally to the album. And it's got the unmistakable "Crooked Still" sound: inventive arrangements of traditional tunes with some incredible virtuosity. 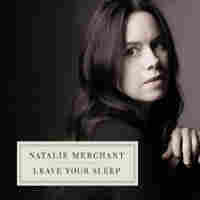 It is Natalie Merchant's first studio release since 2003 -- and is unlike anything she's done before. She almost always wrote her own lyrics with the band 10,000 Maniacs and in her solo career. For this recording she took poetry by e.e. cummings, Victorian English poetry and even some nursery rhymes and set it all to music. The result is fascinating -- music that leaps from classical and jazz to Appalachian folk and English balladry with words that tell stories about life. It's interesting and enjoyable. 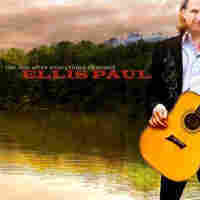 2010 started with a bang -- Ellis Paul's 15th studio album, The Day After Everything Changed, was released in mid-January. Fans raised the majority of the money it took to record the album, which automatically makes it music released in the true folk tradition. The reviews were contradictory. Some people gave him a hard time, saying it was too polished and that he was selling out (Kristin Bush of Sugarland fame was the executive producer and co-writer of a couple of the songs). But others said it was the best thing he'd done to date. I fall into that latter category. You know how sometimes you just listen to a song and it just, I don't know, touches something inside of you? There are a couple of those on this recording, especially the post-Hurricane Katrina commentary "Hurricane Angel." 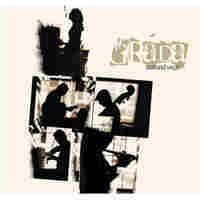 I first heard the Irish group Grada in 2005 and I've been a fan ever since. They've been together for almost 10 years and their new CD Natural Angle is, in my mind, a culmination of everything they've done up until now. That might sound like the recording is a mishmash or a hodgepodge or even a mess, since Grada has done a lot of different things. But it's not. They mix traditional Irish music with traditional American tunes, Appalachian sounds with some Danish reels and a few originals, and the album was produced by Tim O'Brien. If it is a mess, it's a stylish, fun mess that seems to guarantee they'll be around for years to come.